The long wait is finally over! This Saturday morning, the grand face to face of the former rival actors takes place! BB Gandanghari who is Rustum Padilla before finally meets Zoren Legazpi, the present partner of his former wife Carmina Villaroel! Actually when BB returned to the country last March, they were plans to have a face-off between her and Zoren. BB revealed that she is ready to face anyone! But that time, Zoren was nervous so the supposed to be meeting was postponed! 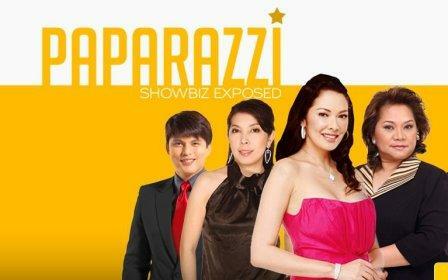 But this morning, it is going to happen via the TV5's showbiz oriented talk show "Paparazzi!" According to reports, some of the things that BB will reveal in front of Zoren is her feelings then and now towards him and Carmina. She will also discuss who is Carmina to her right now!